Yay for the weekend! I didn't go on my date night with DH tonight, instead we stayed at home and had dinner with my brother. We decided to move date night to next week when my in laws are town - that means less time I'll have to spend with them, which is much better IMO! 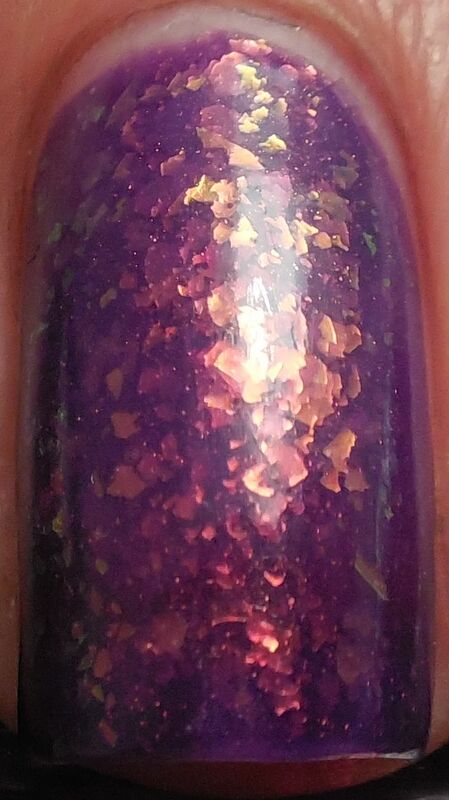 I have a gorgeous beauty to show you tonight and this is Layla Ceramic's Butterfly Effect, labeled on the bottle as CE52. 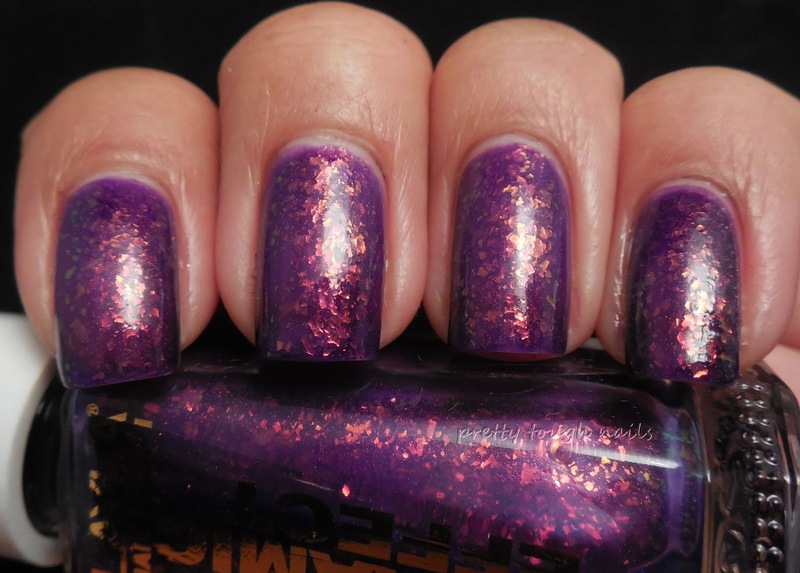 It's a fairly close dupe to Nfu Oh's 51 purple flakie, but perhaps without as much red undertones. 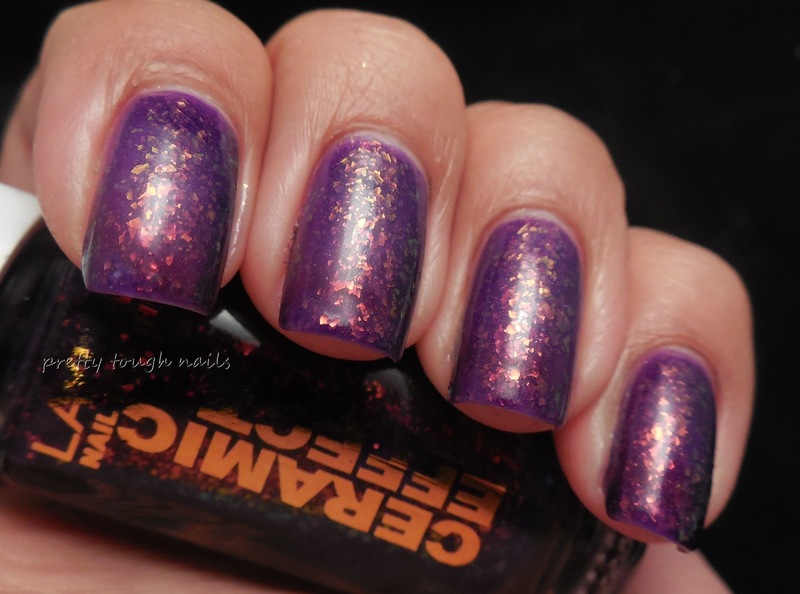 I really adore this color, it's the perfect shade of purple and the flakies embedded within the polish give it so much depth and reflections of color. I found the formula to be super smooth, almost like silk, and it applied easily. I could have used two coats but went for three instead because I wanted more flakie goodness to add depth to the polish. The only problem I could say is that it didn't dry as quickly in between coats as I would have liked, so I got a tiny bit of drag on my pinky tip. I finished with a layer of SH Insta Dri. Don't you love that flakie goodness?? I forgot how much I love flakies... it seems like the hype has passed but I will never get over how amazing a flakie can transform a polish. 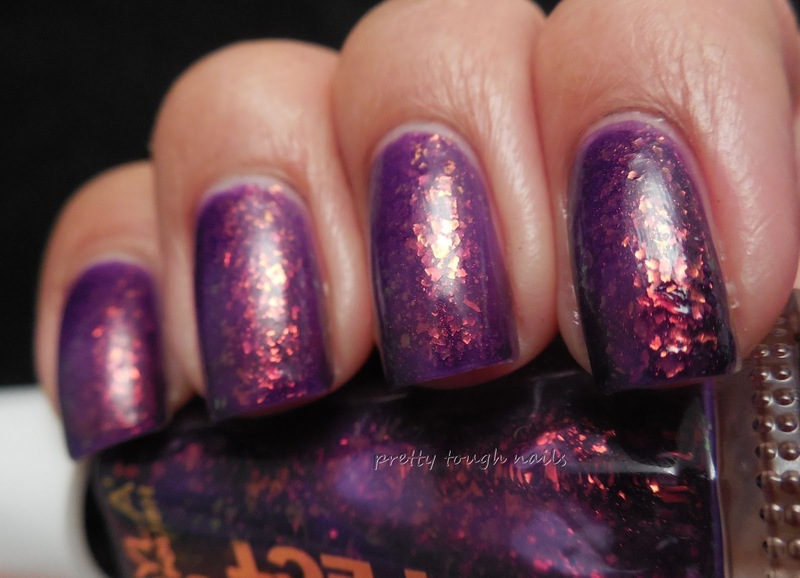 What's your favorite flakie?